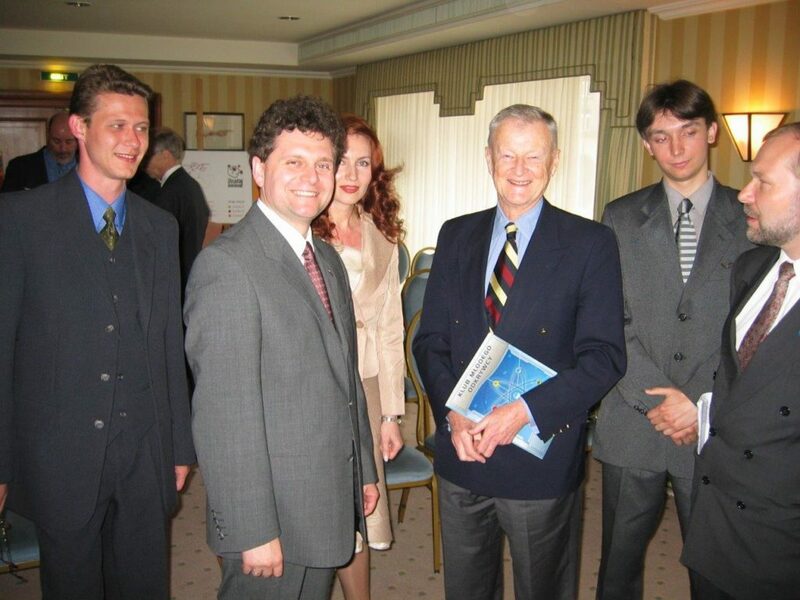 March 28, 2018 marks the 90th birthday of Professor Zbigniew Brzeziński. 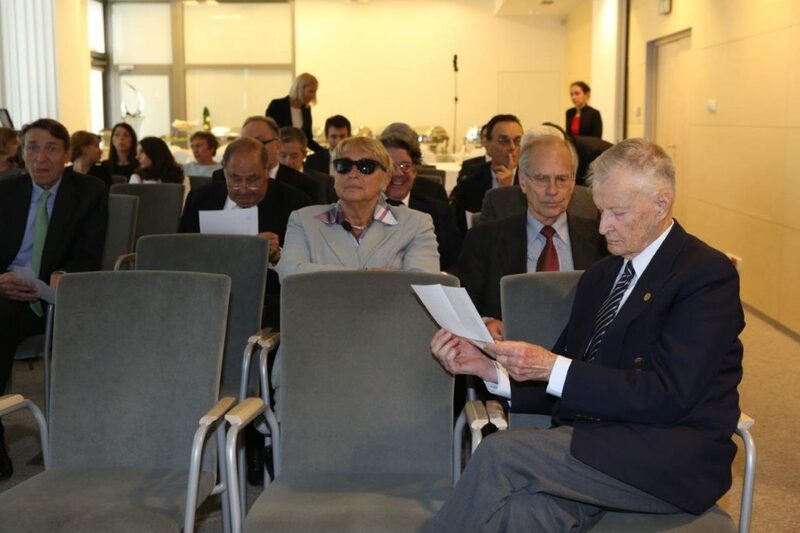 For this occasion, we have prepared a presentation of the most important events that took place, and were attended by him in Poland, over the period of his membership on the PAFF Board of Directors (2000-2017). 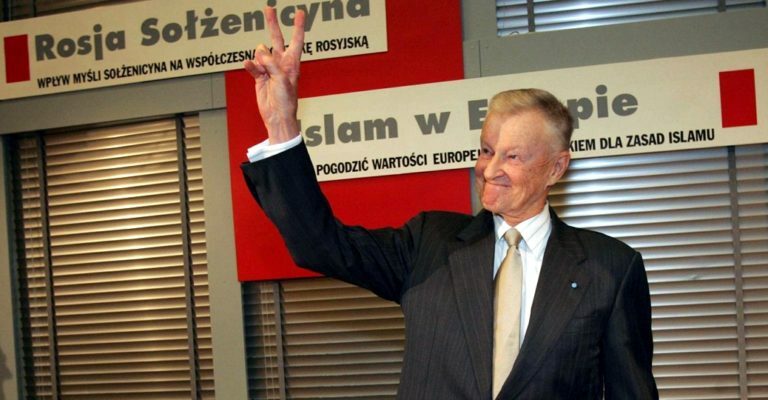 A great Pole and American, prominent strategist, with immense service to the freedom and security of Poland, effectively involved in the transformation of all Central and Eastern Europe. 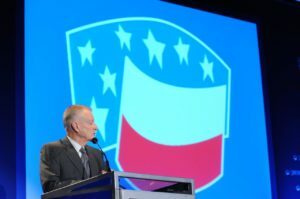 He was strongly involved in the Polish-American Freedom Foundation from its inception. 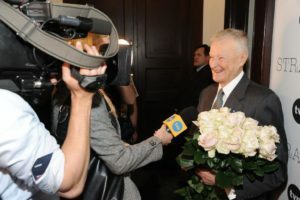 He was born in Warsaw in 1928. In 1938, he went with his family to Montreal, where his father Tadeusz Brzeziński, a lawyer and diplomat, took the post of the consul general. 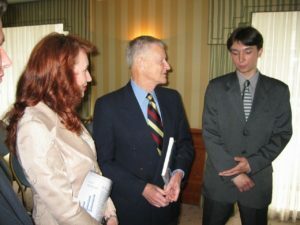 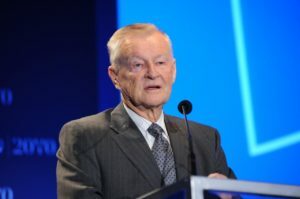 Zbigniew studied political science and economics at McGill University in Montreal, and subsequently received a doctorate at Harvard University. He was the director of the Institute for International Change at Columbia University, New York. 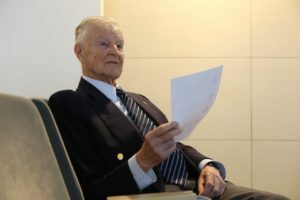 He was a professor at American universities, including Harvard University, Columbia University and Johns Hopkins University from 1960 to 1989. Over the last three decades he was involved in the work of the Center for Strategic and International Studies, in Washington D.C.
As an expert on communism, in the 60s he was active in John F. Kennedy’s and later Lyndon Johnson’s presidential campaigns. 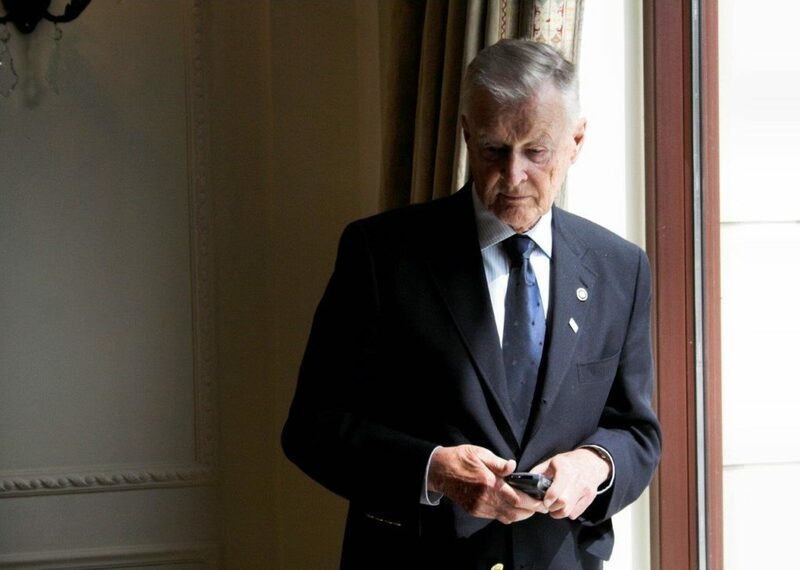 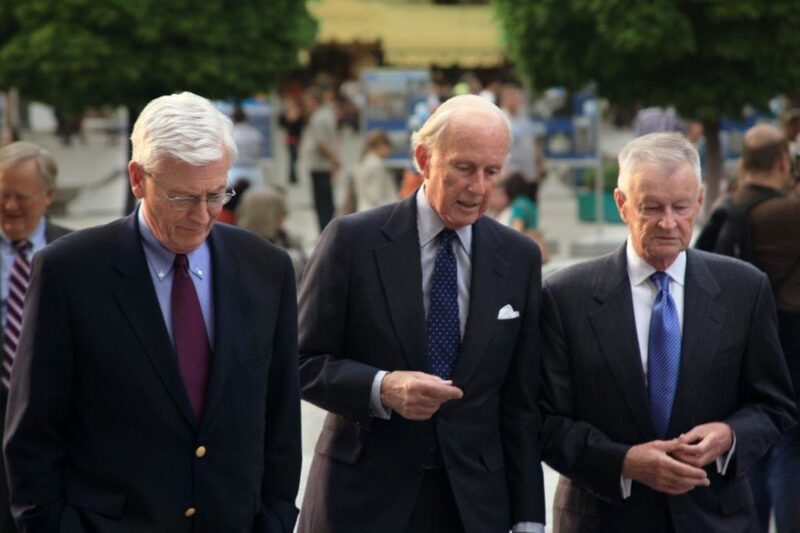 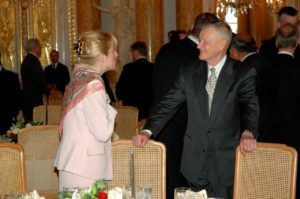 From 1977 to 1981 he was the National Security Adviser to President Jimmy Carter; he had a strong influence on US foreign policy, and attached particular attention to human rights in Eastern Europe, which was an important factor in strengthening the dissident centers in the countries of that region. 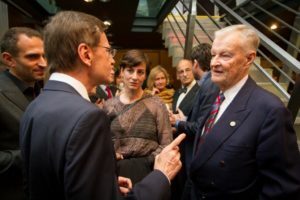 He played a critical role in building American support for the Polish “Solidarity” movement and in preventing a Warsaw Pact armed forces invasion of Poland in 1980. 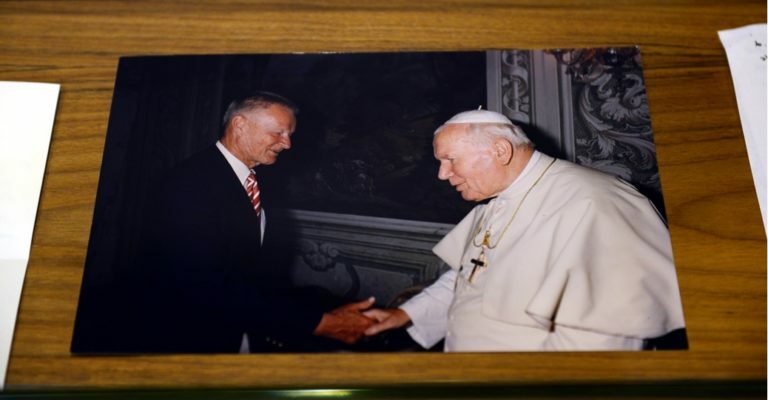 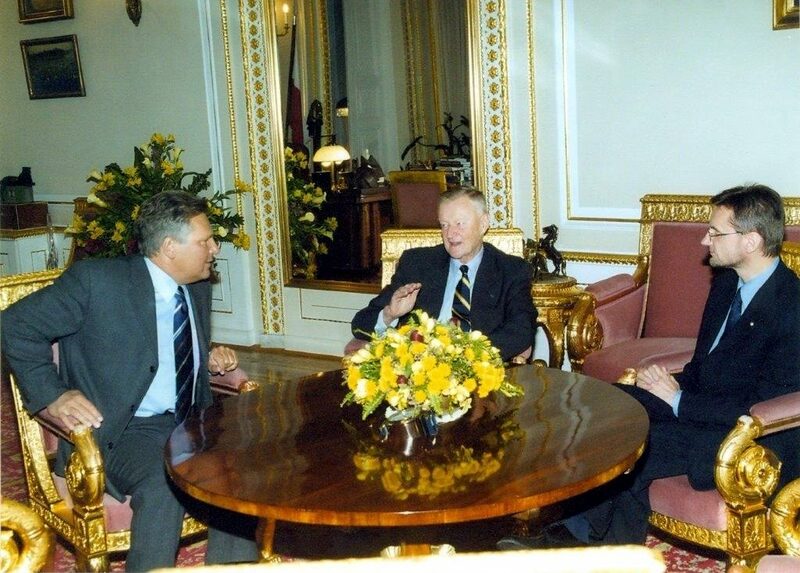 Over all those years he was strongly involved in Polish affairs, cooperating with leaders of the Polish-American community, remaining in close contact with Pope John Paul II, supporting Radio Free Europe and working together with Jan Nowak-Jeziorański. 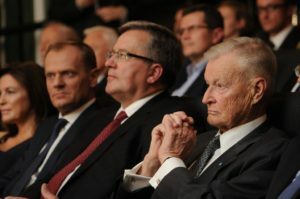 After communism was overthrown, an effort to which he significantly contributed, he actively supported the transformation in Poland, as well as in other countries of the region. 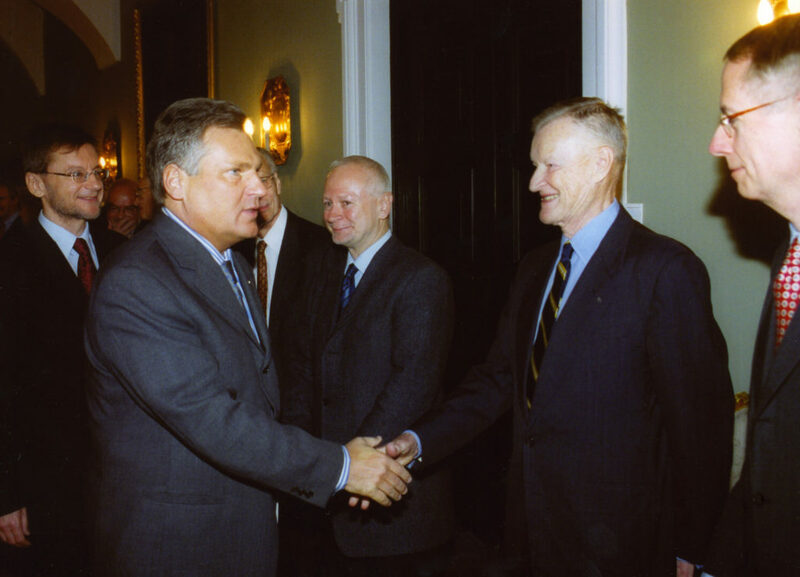 Thanks to his knowledge, experience and contacts he was able to win the support of the United States authorities for Polish reforms. He was the advocate of establishing the Stabilization Fund, reducing Polish foreign debt, as well as introducing American programs of expert support for the development of a market economy in Poland. 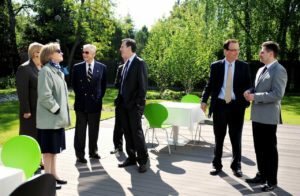 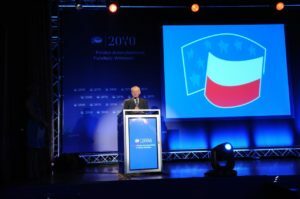 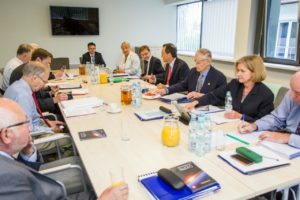 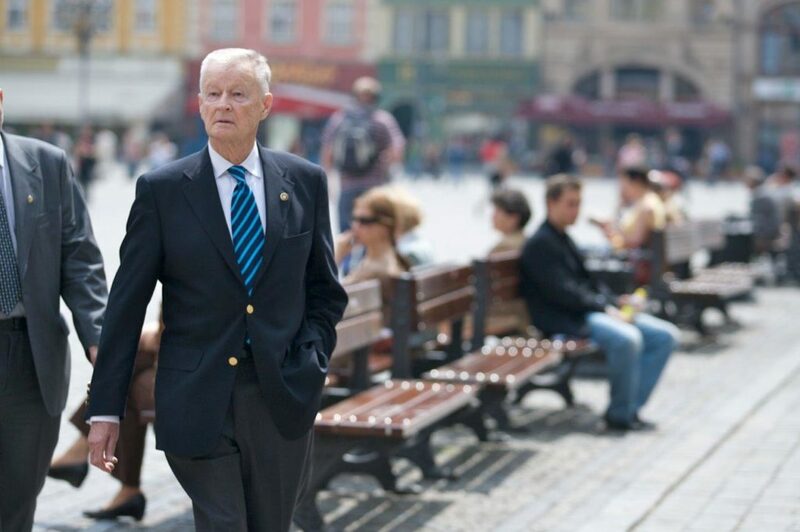 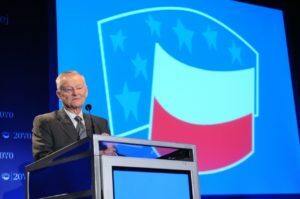 He was among the initiators of establishing the Polish-American Enterprise Fund and became a member of its Board of Directors. 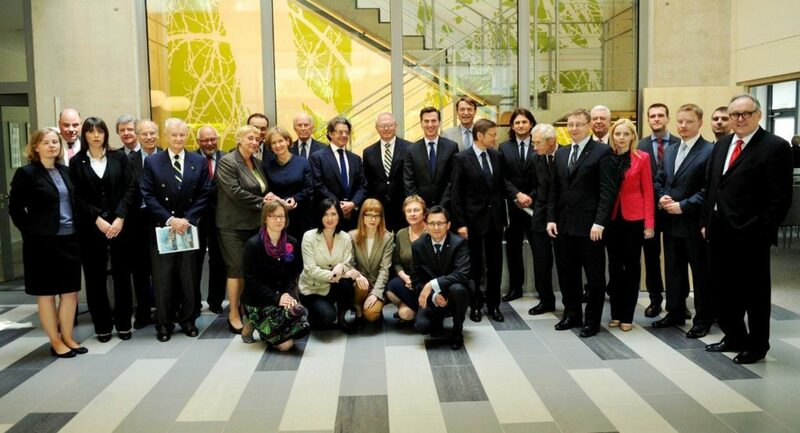 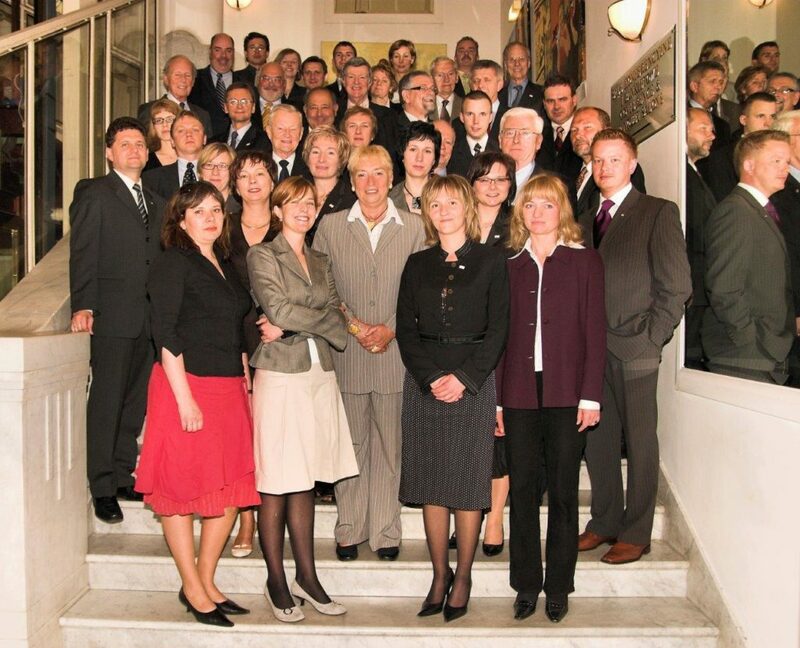 Since 1990 the Fund supported almost 100,000 Polish entrepreneurs. 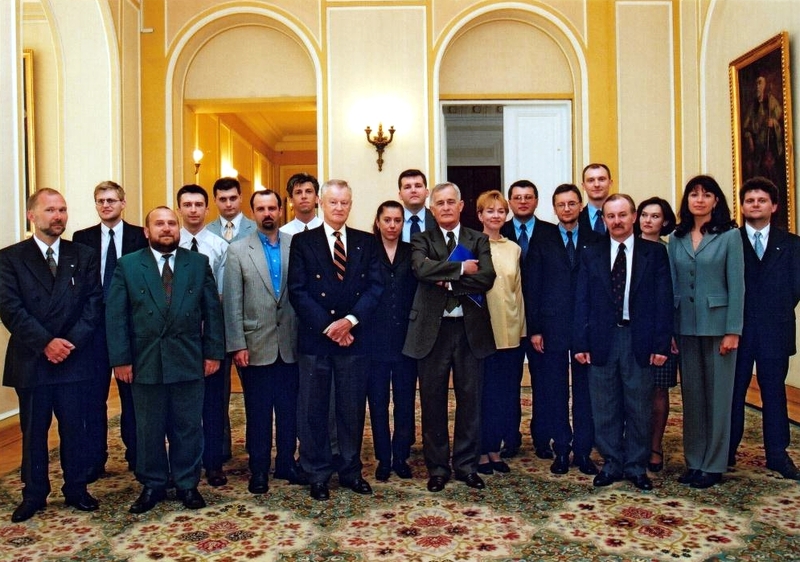 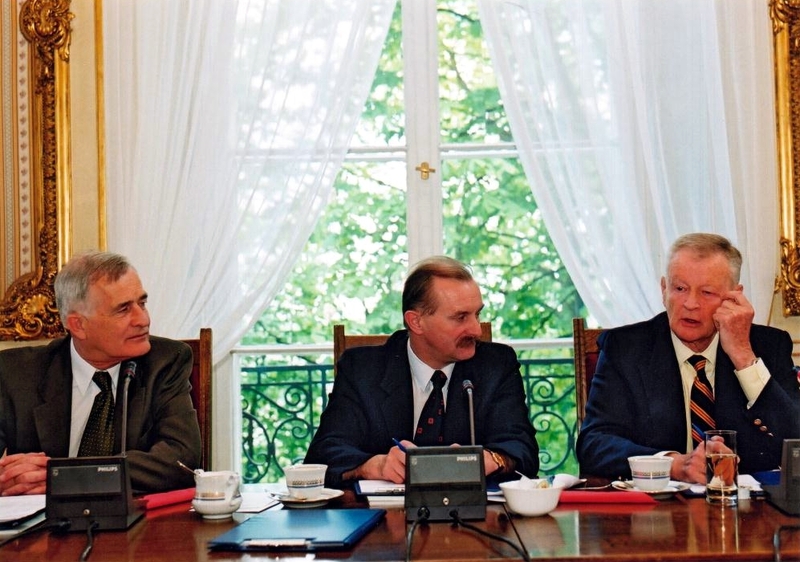 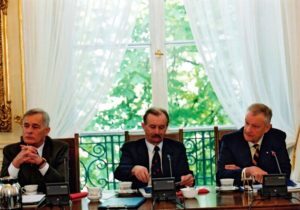 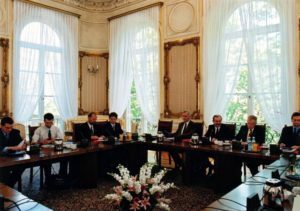 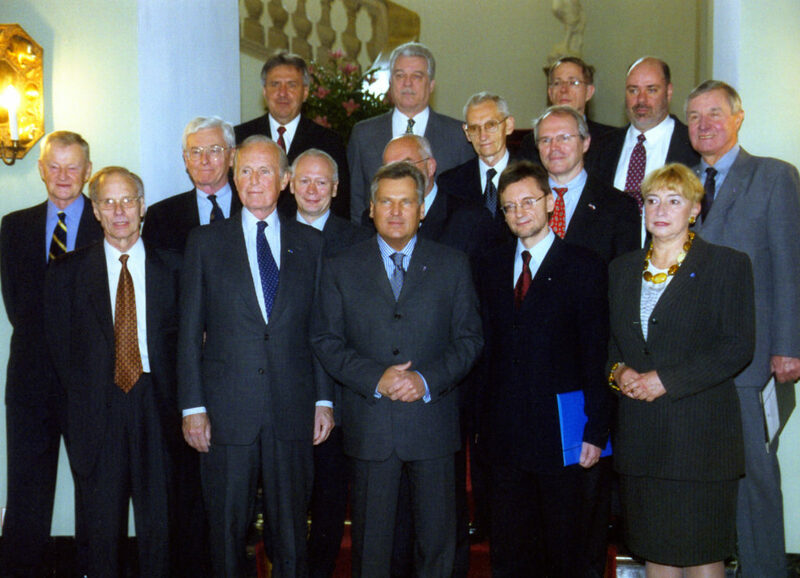 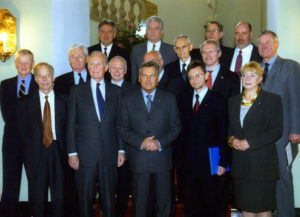 In 1999, the Fund was presented with the Special Economic Award of the President of Poland for “for its significant contribution to the development of the Polish economy”. 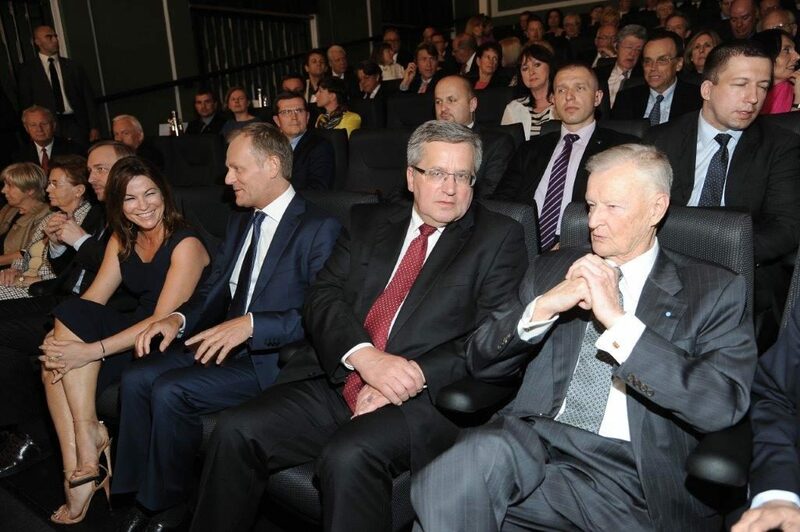 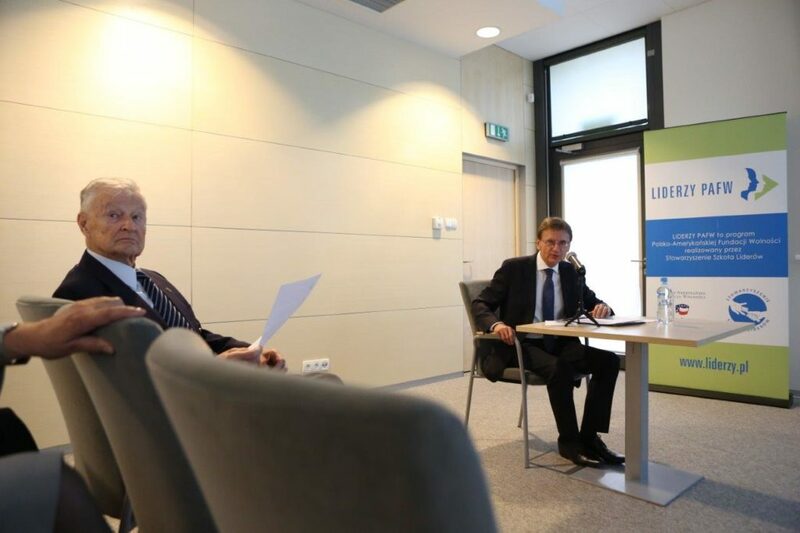 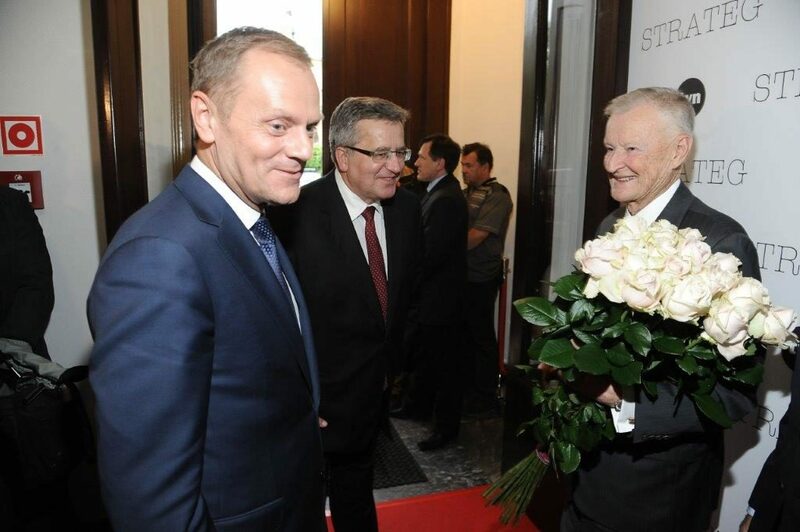 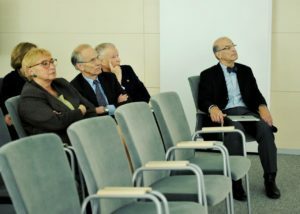 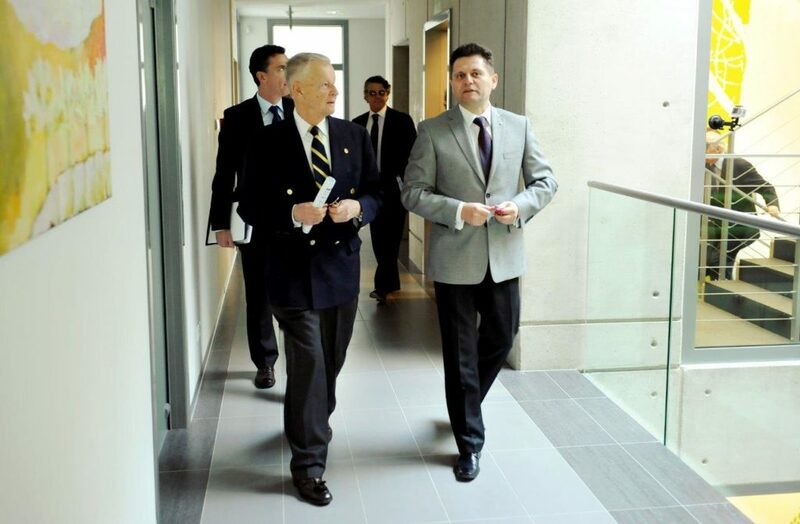 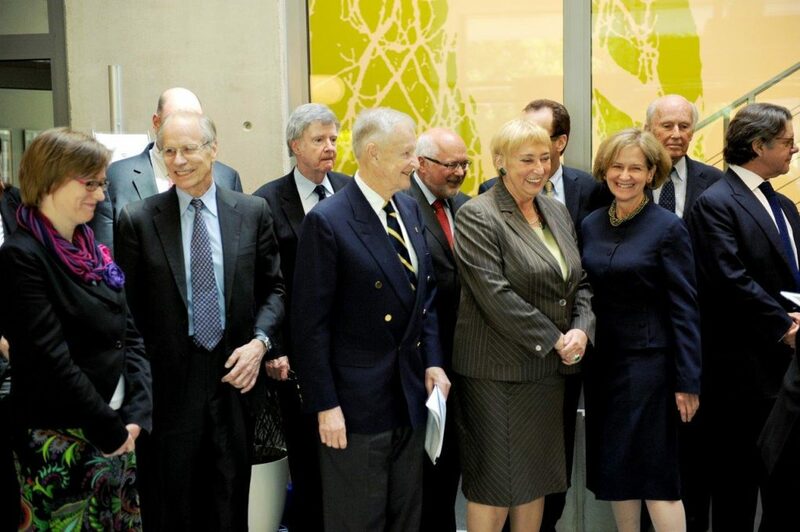 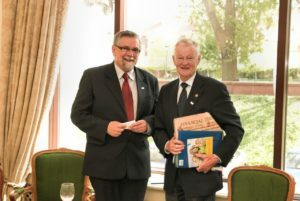 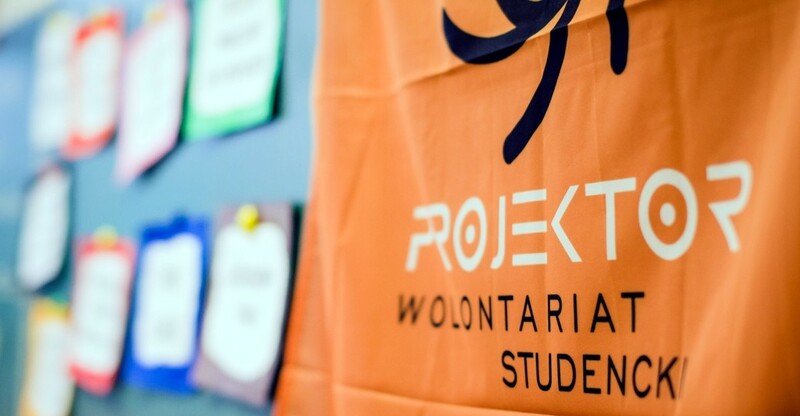 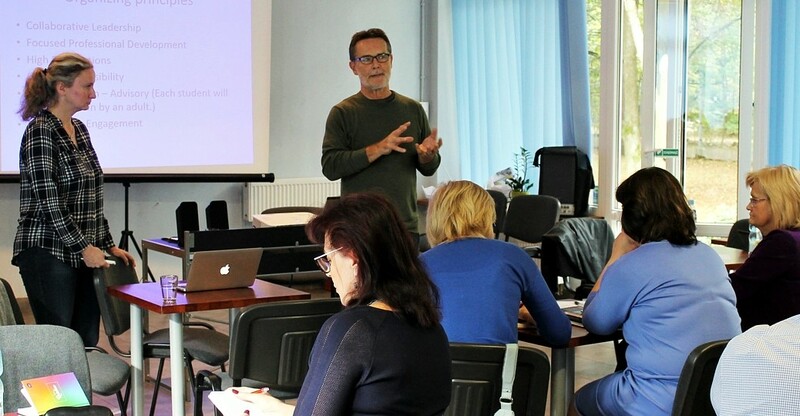 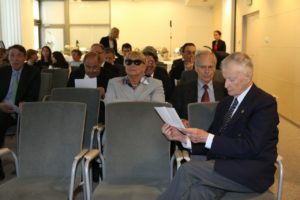 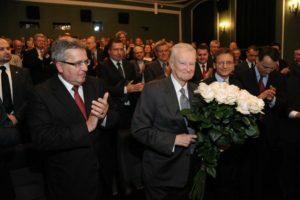 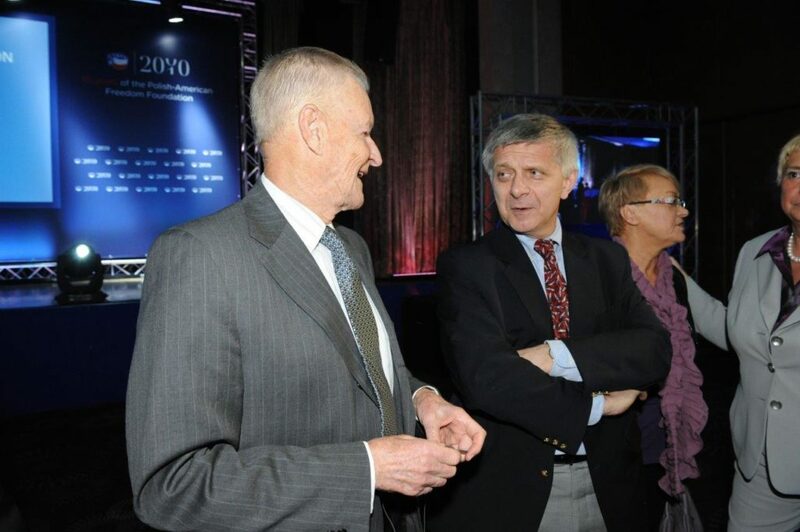 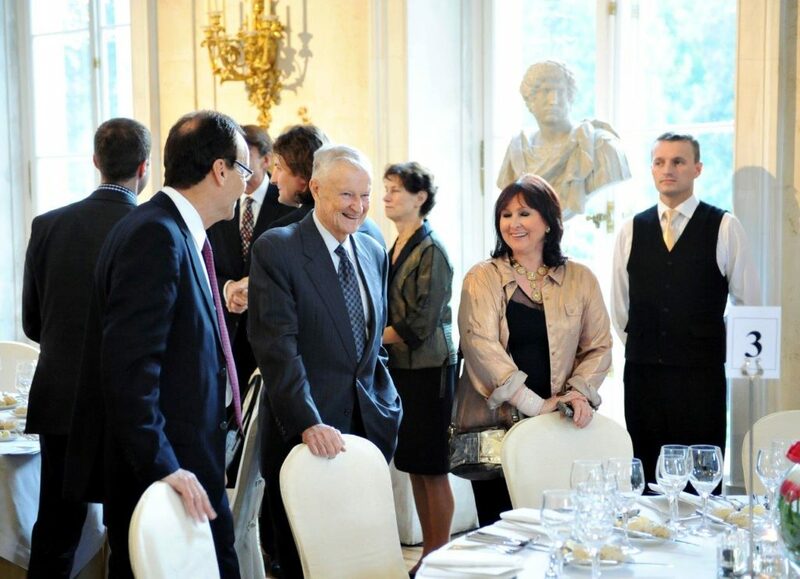 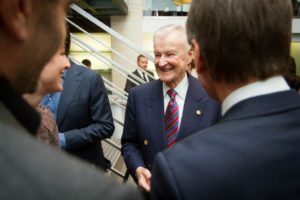 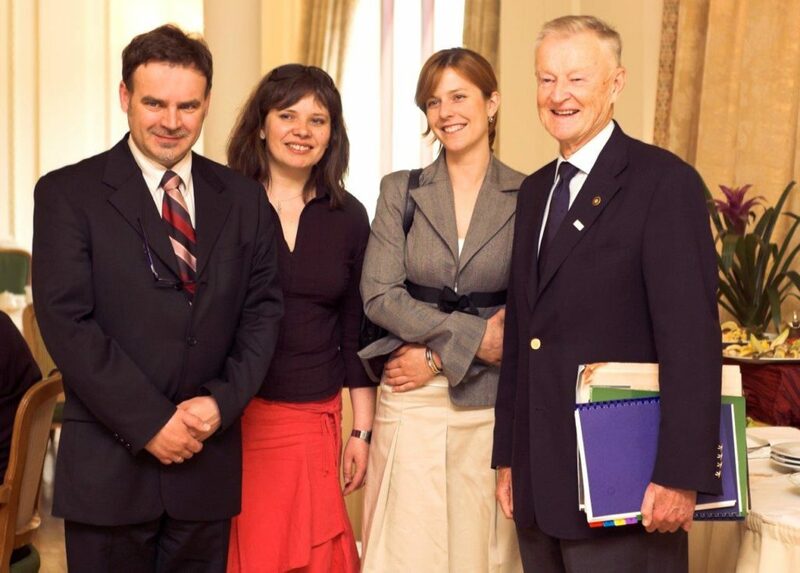 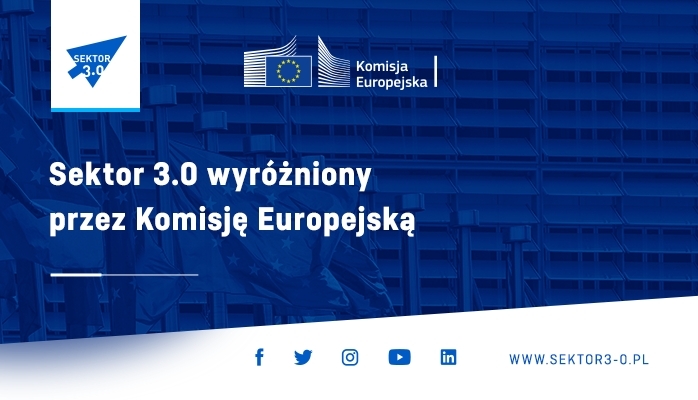 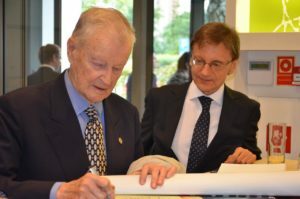 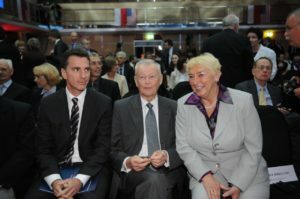 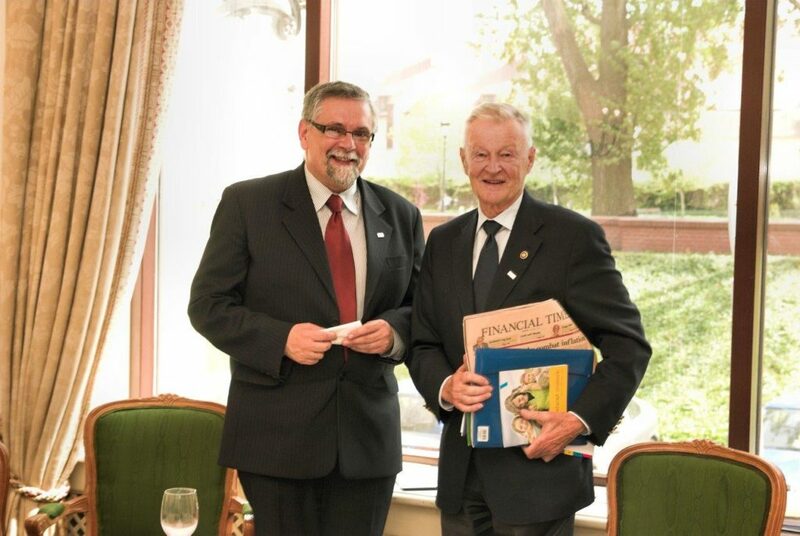 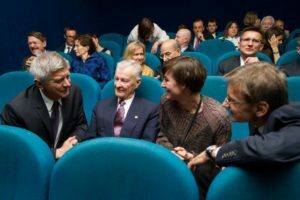 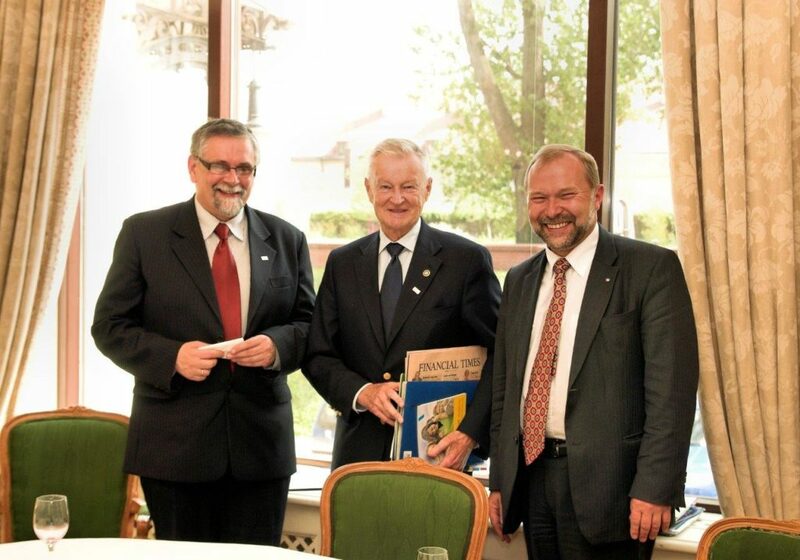 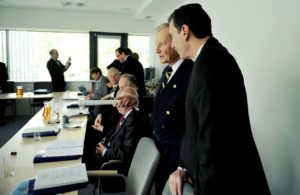 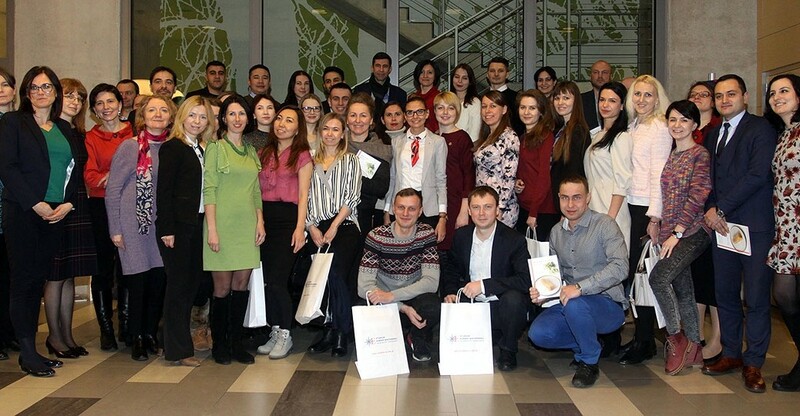 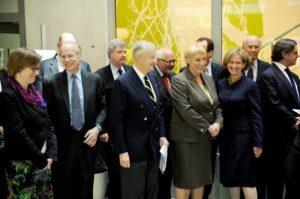 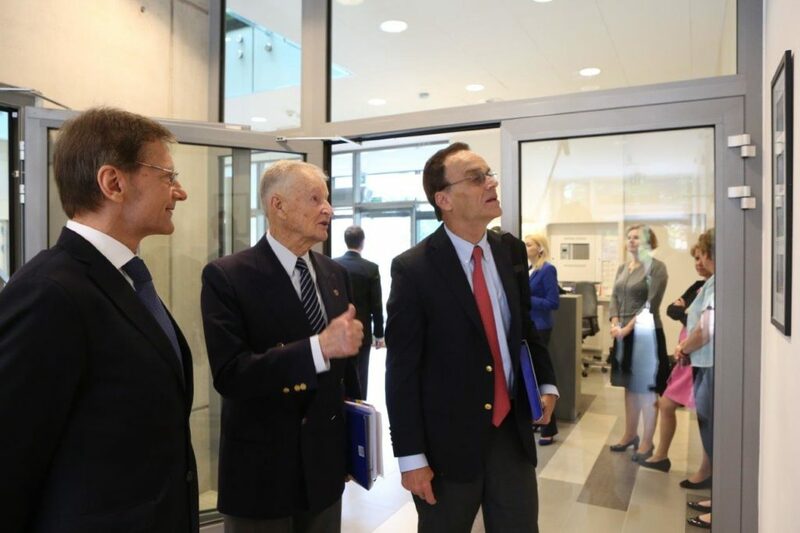 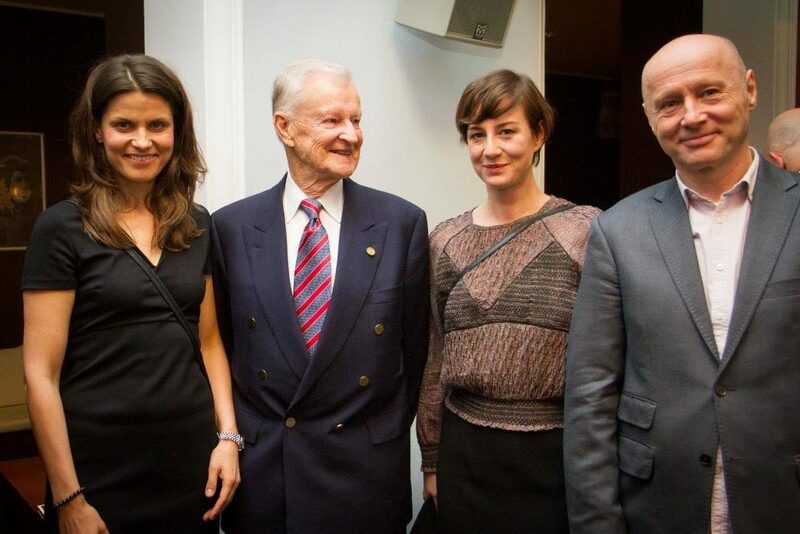 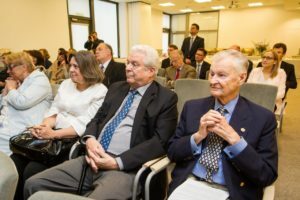 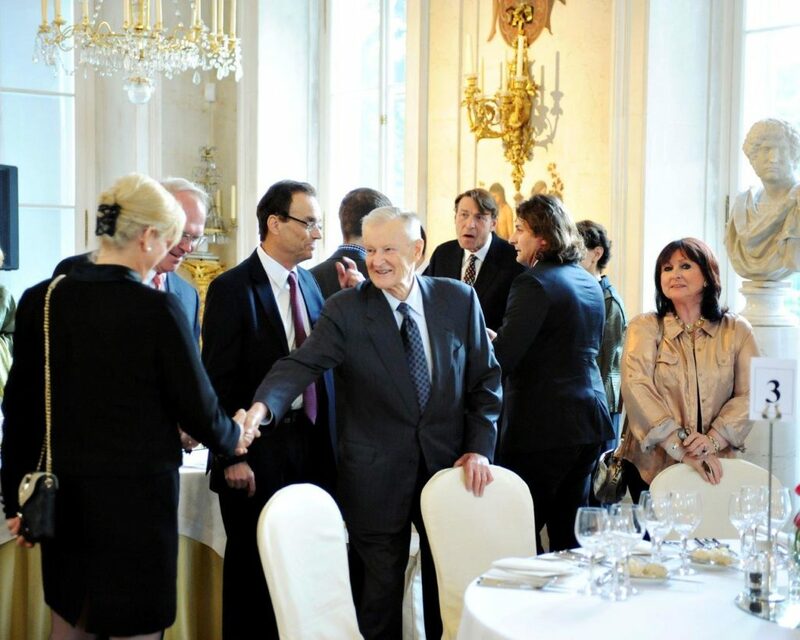 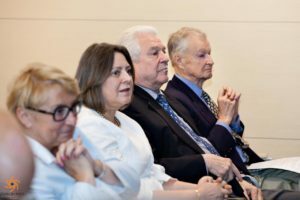 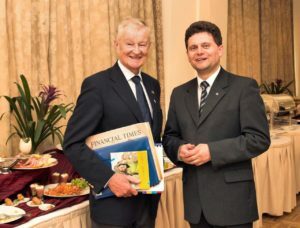 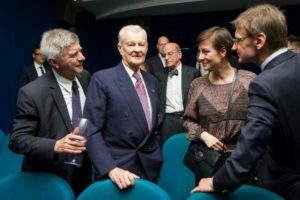 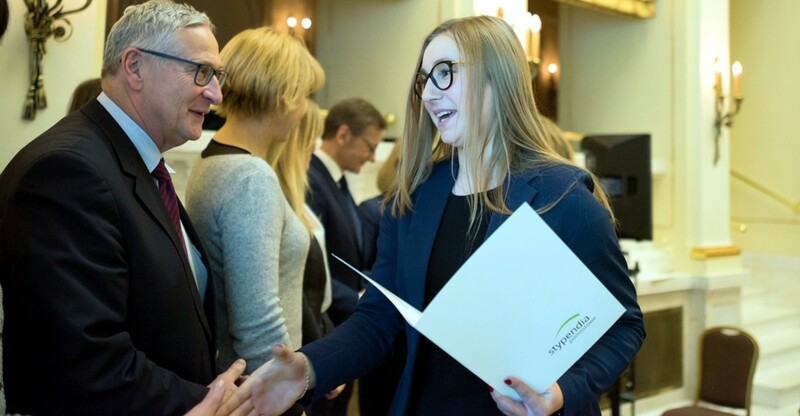 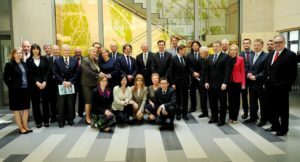 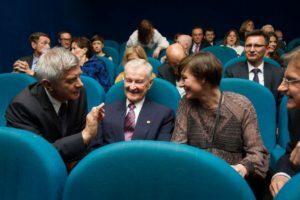 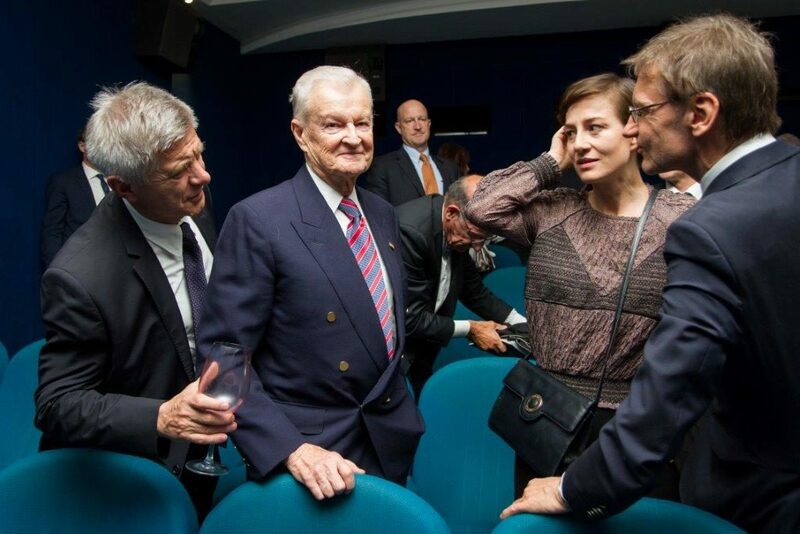 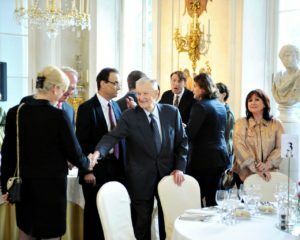 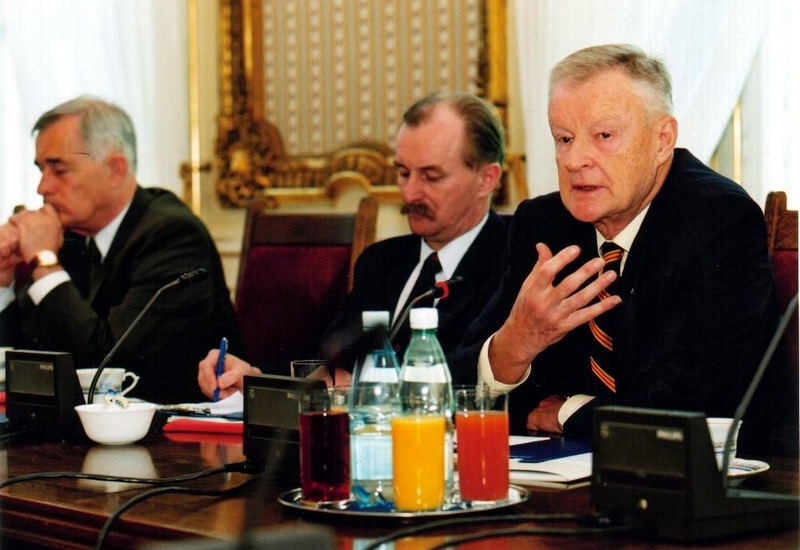 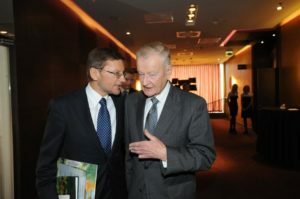 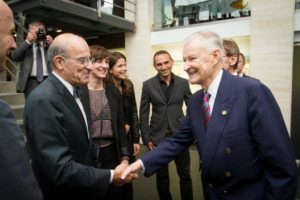 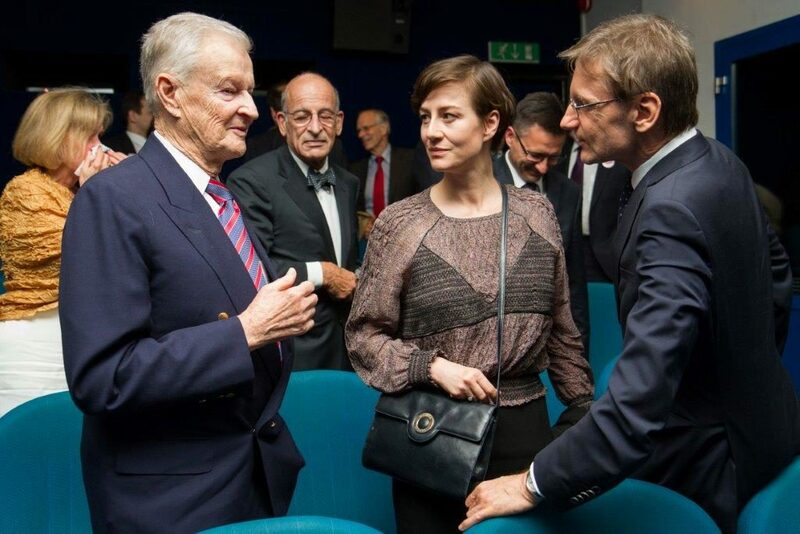 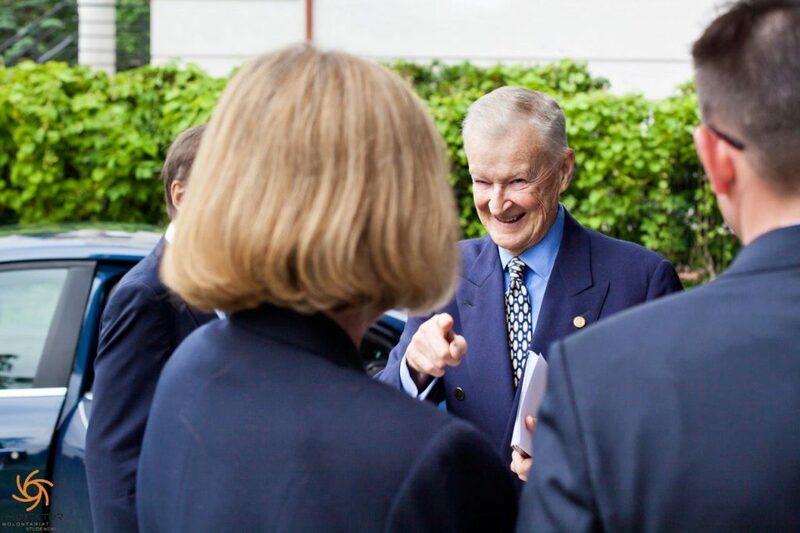 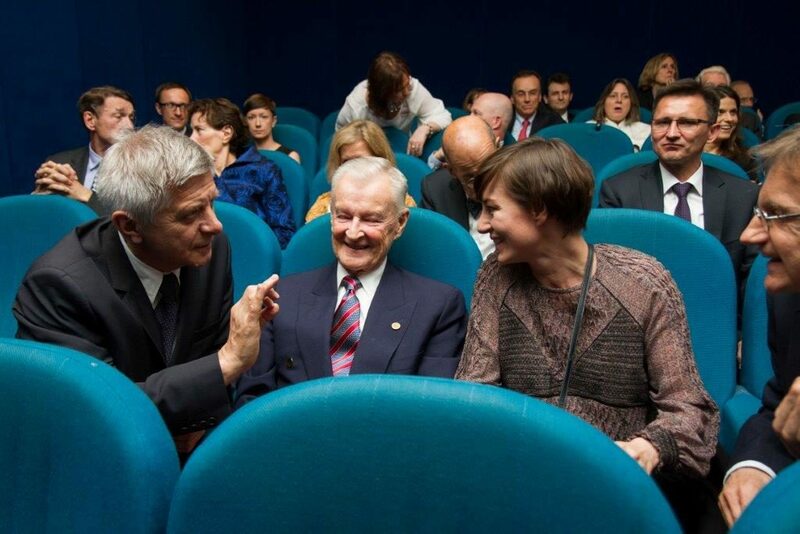 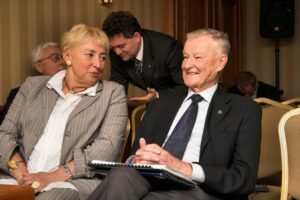 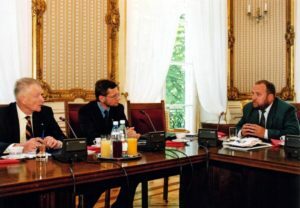 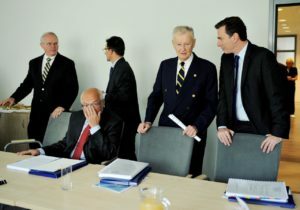 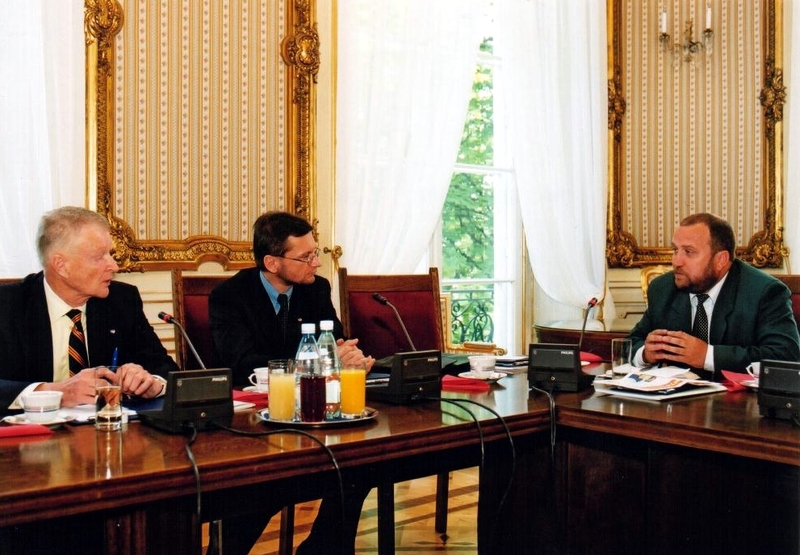 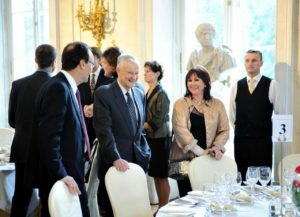 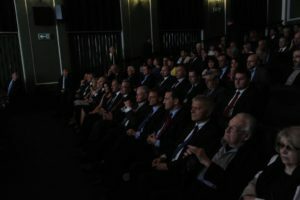 After the Enterprise Fund had completed its mission, Professor Brzeziński made efforts to ensure that the money generated by the Fund continued to benefit Polish society. 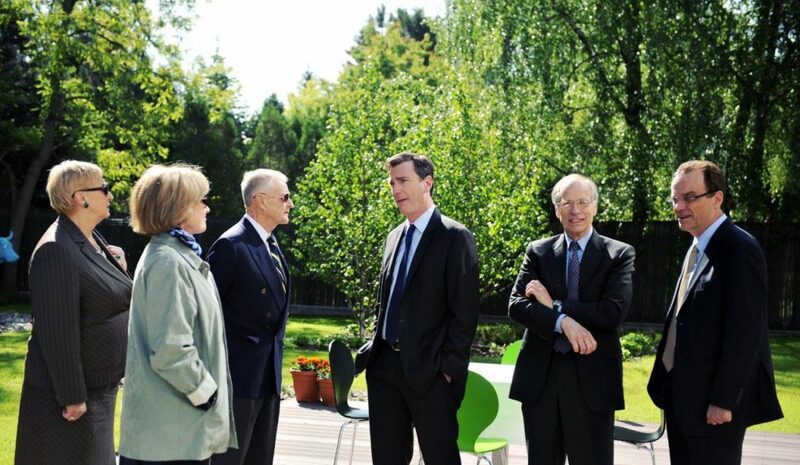 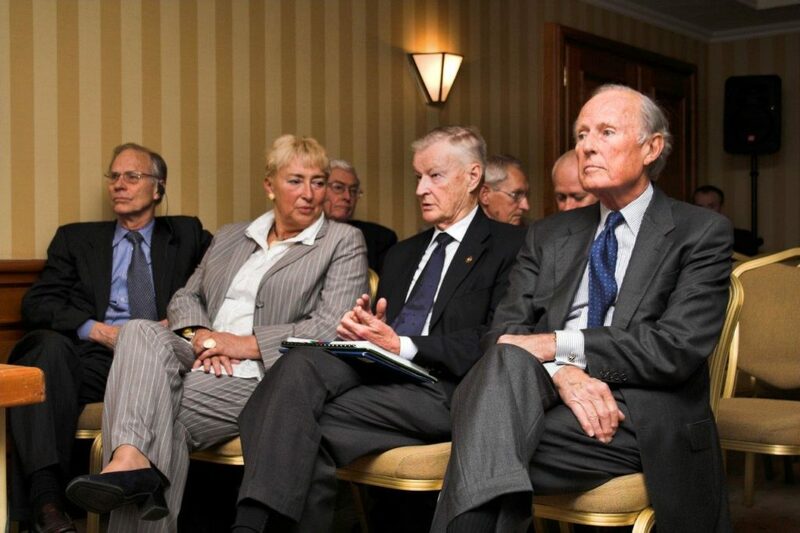 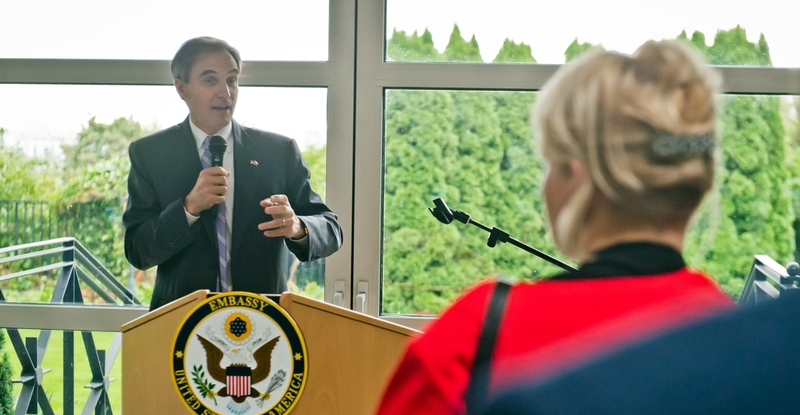 As a result, the Polish-American Freedom Foundation was established and launched its operations in 2000. 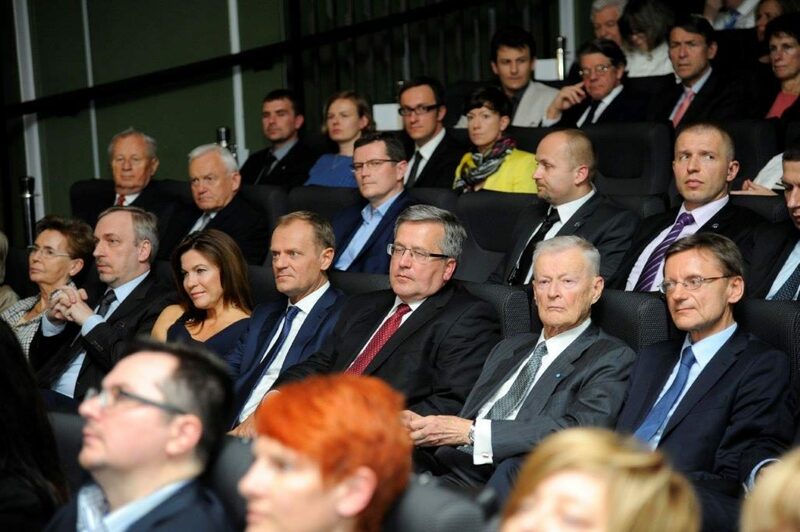 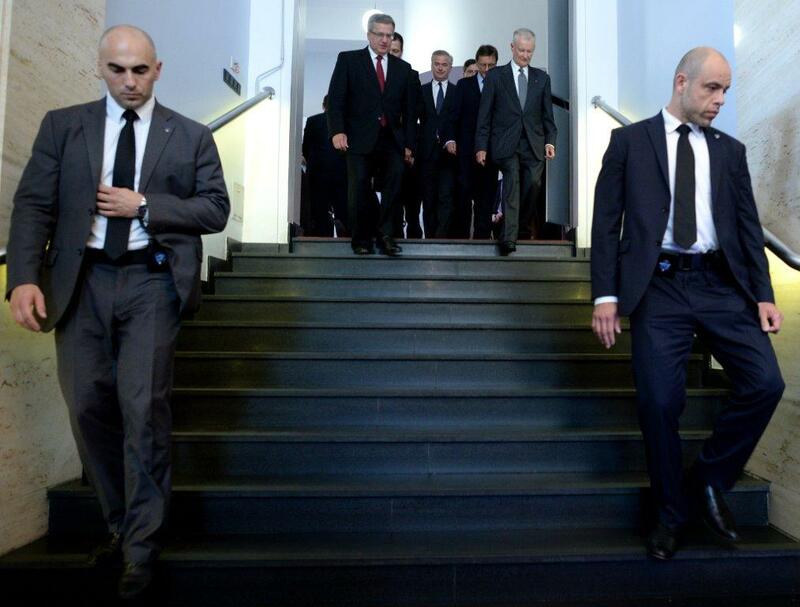 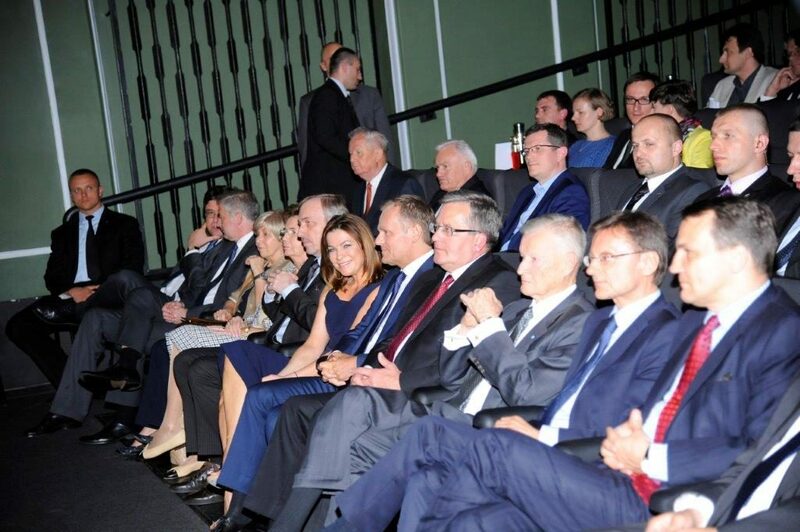 Zbigniew Brzeziński played an extraordinary role in safeguarding security for a free and democratic Poland. 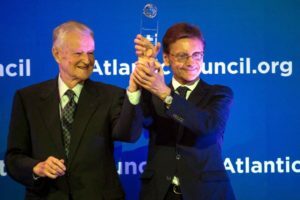 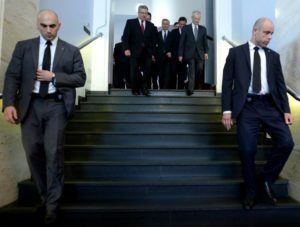 He actively worked for NATO enlargement and Poland’s membership in the Alliance; it is, to a great extent, thanks to his tireless efforts that Poland today belongs to the Euro-Atlantic community of countries sharing the same values. 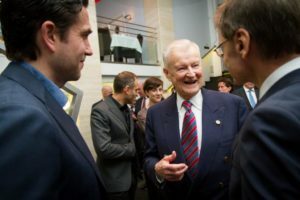 For his immense contribution to development of Polish-American relations he was presented with the Order of White Eagle by President Lech Wałęsa in 1995. Before that, in 1981, he received the Presidential Medal of Freedom, the highest civilian award of the United States. 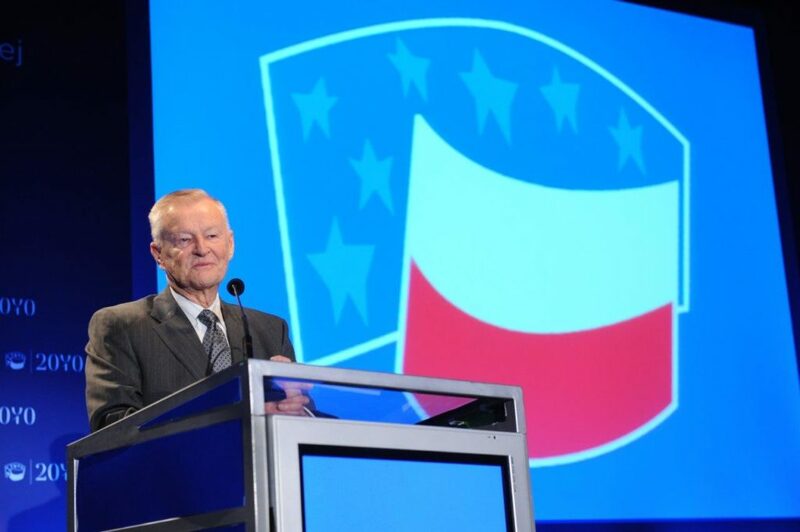 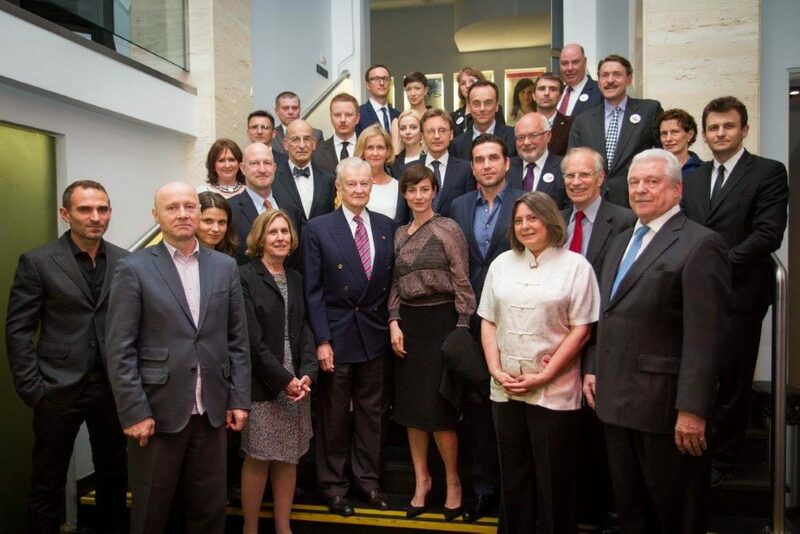 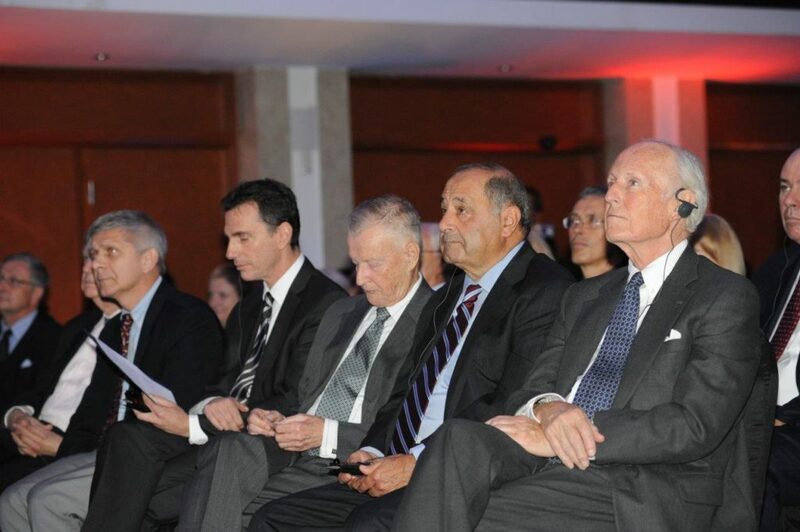 Professor Brzeziński’s contributions to the Polish-American Freedom Foundation cannot be overstated. 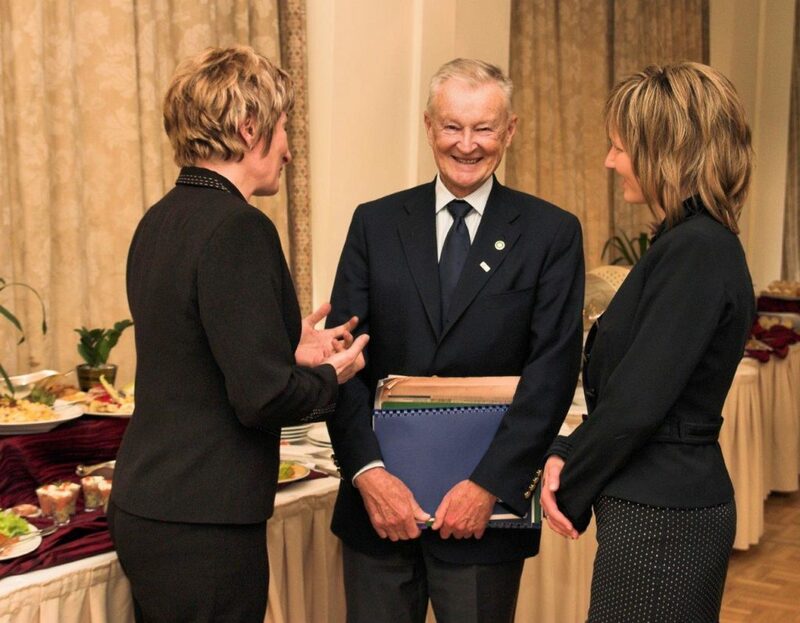 He was deeply involved in establishing and overseeing the Foundation, and as a member of the Board of Directors he always helped us with his remarkable knowledge and experience. 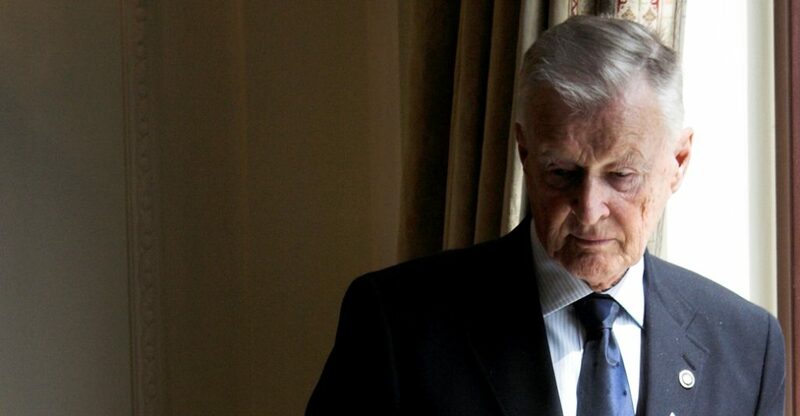 We could always count on his wisdom, advice and friendship. „An American whose heart stayed in Poland" – as he wrote about himself in the introduction to his book „Power and Principle: Memoirs of the National Security Adviser, 1977–1981". 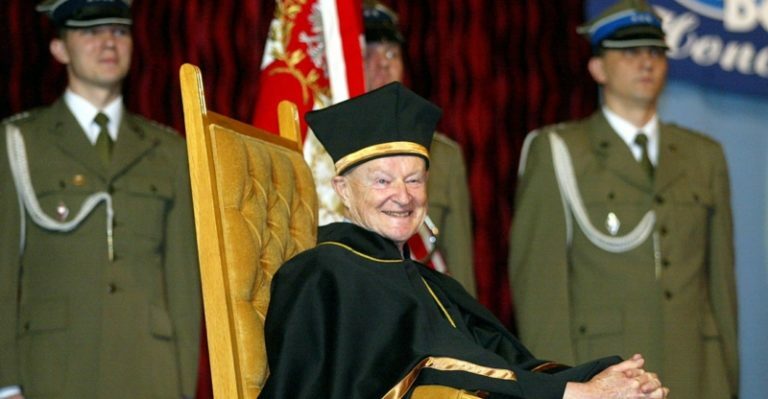 He will always be remembered as such by us. 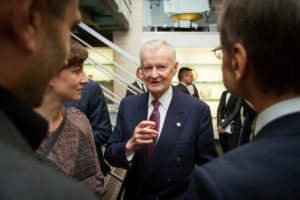 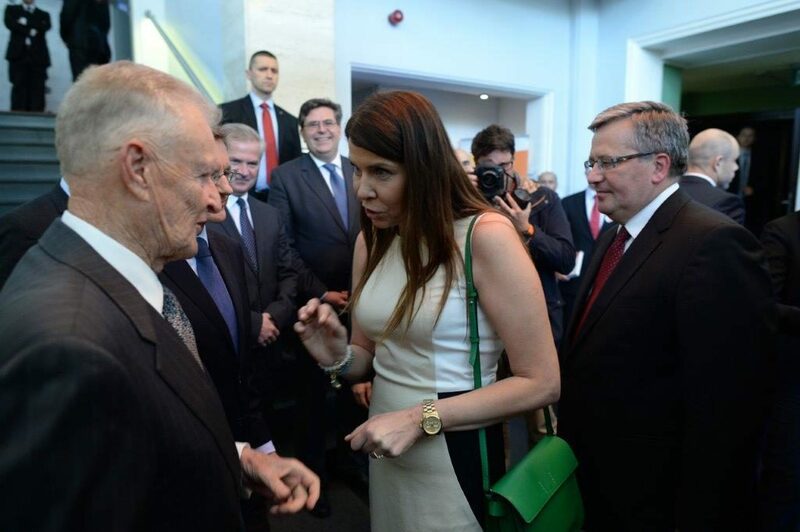 “That is the Foundation that emphasizes the presence of America in Poland and the interest of America in Poland,” said Professor Zbigniew Brzeziński in his interview given to Katarzyna Kolenda-Zaleska. 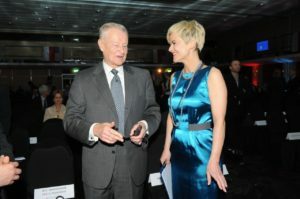 The interview was on the 10th anniversary of launching the program activities by the PAFF. 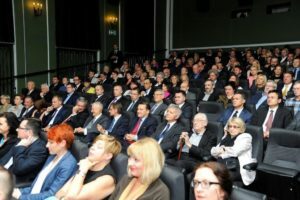 “By sharing our knowledge and experience, we build a strong network of relations and trust, which in broader perspective shall result in changes all over the region,” said Professor Zbigniew Brzeziński in his address at the PAFF 10th Anniversary Gala. 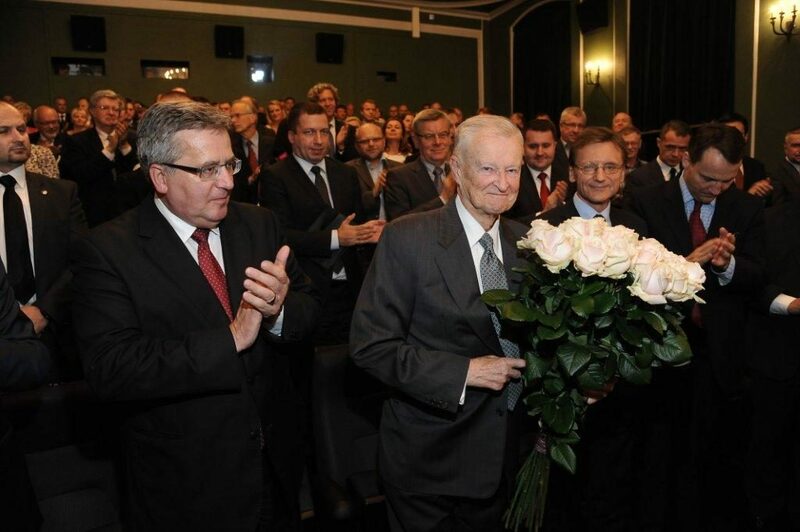 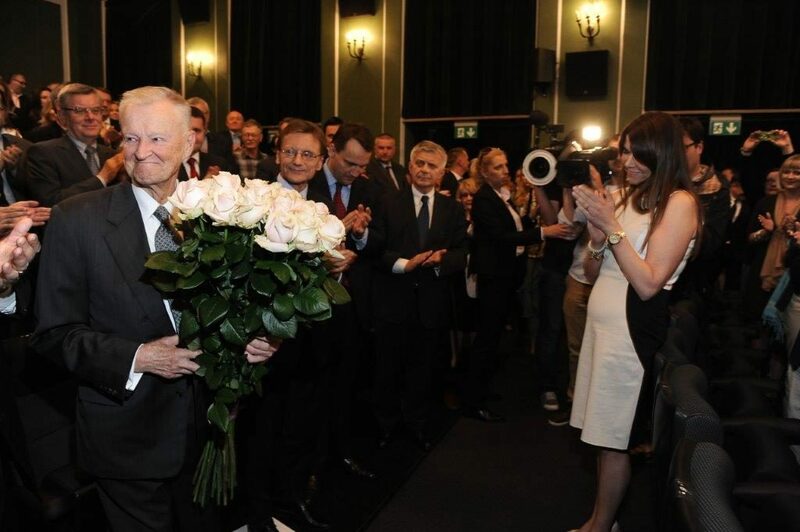 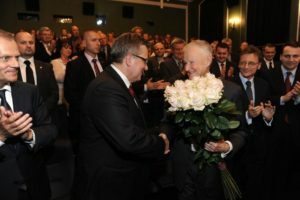 “I accept the award of my friend (…) whom I deeply respected, admired and who I directly cooperated with,” said Zbigniew Brzeziński receiving the Jan Nowak-Jeziorański Award. 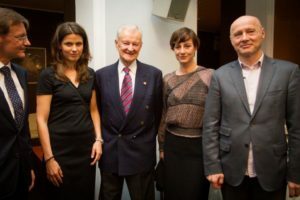 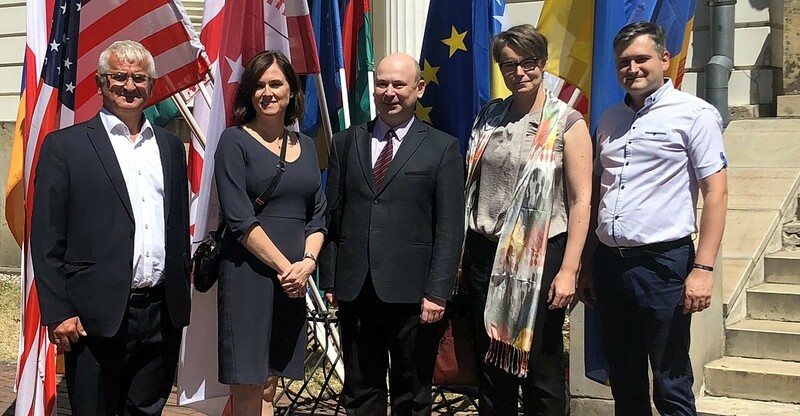 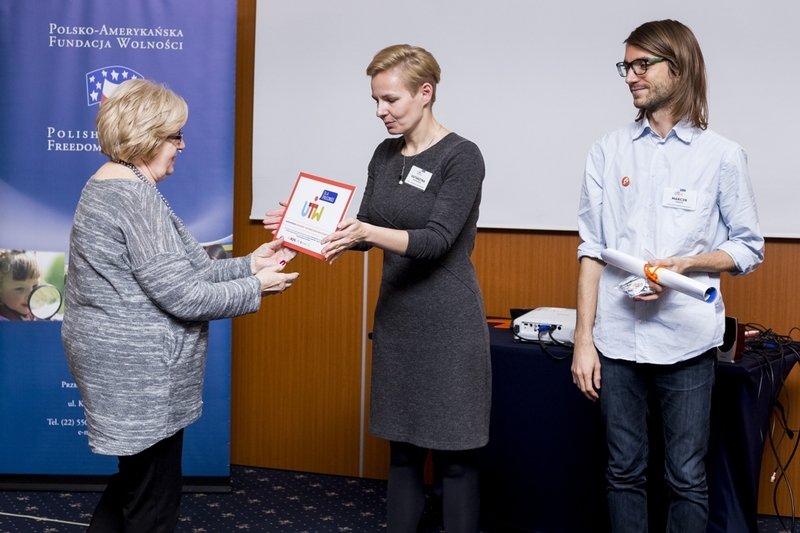 The Chapter awarded Professor Brzeziński for “his contribution to establishing independent and democratic Poland and integrating her in Euro-Atlantic structures”. 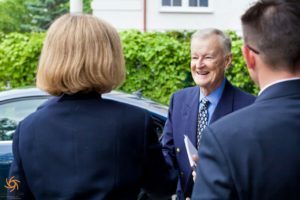 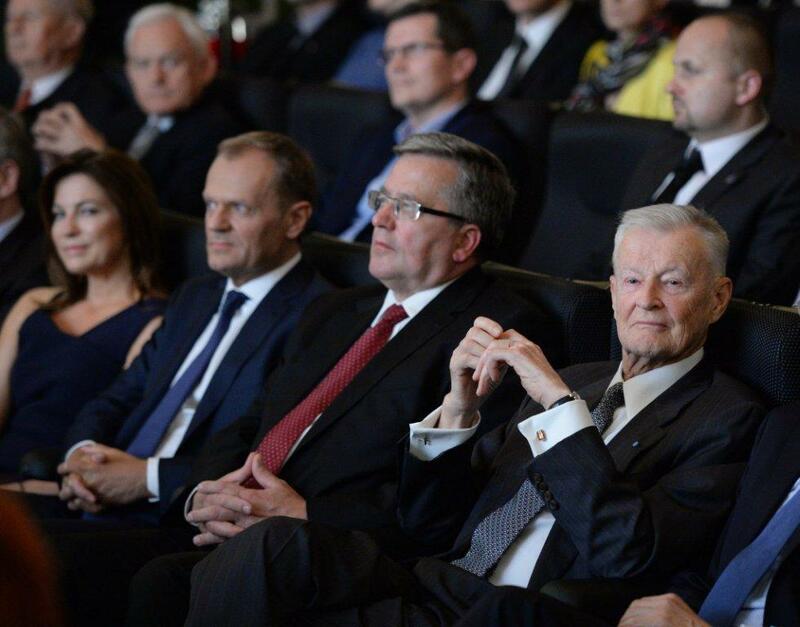 “It is our desire to award the honorary title of Doctor Honoris Causa to Professor Zbigniew Brzezinski, a Pole and a U.S. citizen. In his research work and political passions the issue of Poland’s independence and sovereignty , and the secure global democratic order occupy a special, central place,” said General Bolesław Balcerowicz, the National Defense Academy Rector. 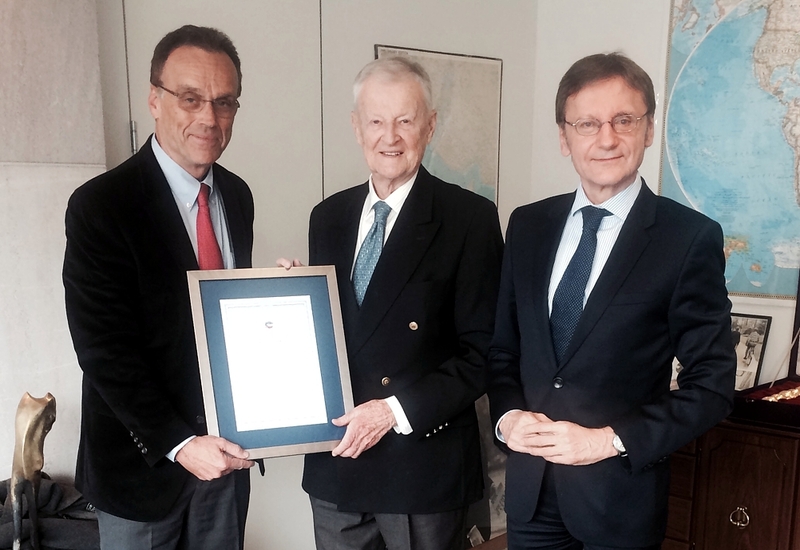 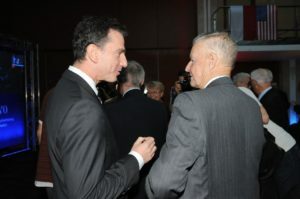 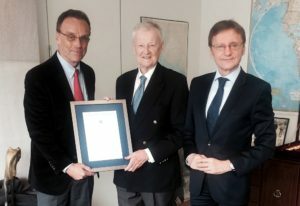 “Professor Zbigniew Brzeziński has established a unique one-person institution in Washington involved in supporting Polish interests,” said Stefan Meller, former Minister of Foreign Affairs of Poland in his laudation for Professor Zbigniew Brzeziński on the occasion of awarding him the Gazeta Wyborcza Man of the Year title. 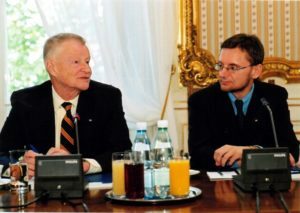 “I am convinced that the museum will become a very important institution contributing to the good future of the country,” said Professor Zbigniew Brzeziński, who donated an extraordinary present – his private correspondence with Pope John Paul II – to the Museum, as an expression of his appreciation of the idea of connecting Poles from all over the world. 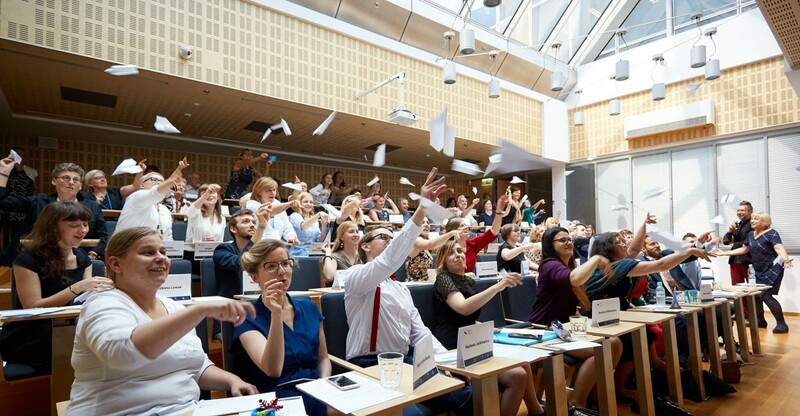 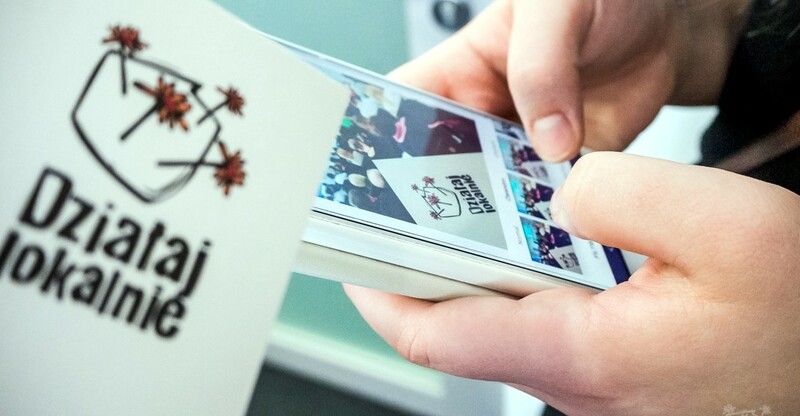 The idea is the backbone of the Emigration Museum in Gdynia.